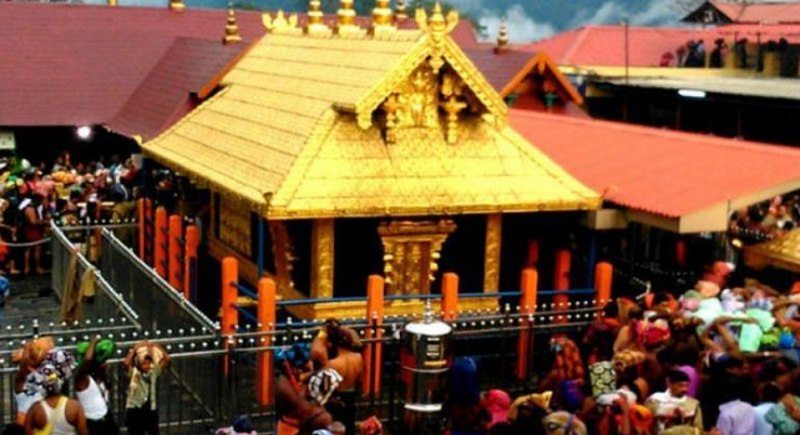 New Delhi, February 6: The Supreme Court has on Wednesday reserved the judgement in a bundle of review petitions filed against the 28th of September decision over the entry of women of all age groups in Sabarimala temple. The Constitution Bench of CJI Gogoi, and Justices Khanwilkar, Nariman, Chandrachud and Indu Malhotra heard the arguments of petitioners and respondents and decided to reserve the decision. The Travancore Dewaswom Board, which manages the temple meanwhile clarified that it supports the SC verdict allowing women of all ages to enter the shrine. The Board had filed a petition seeking additional time to implement the SC judgment passed in the month of September. Texts and scriptures do not show anything regarding the practice. We have to transform society and include women in all walks of life. We should not point out biological attributes to exclude women from any walk of life. Equality is the dominant theme of Constitution, the TDB said. The Court however is hearing 65 petitions including 56 review petitions and 4 fresh writ petitions against its decision to allow women enter the shrine. The Government of Kerala, which was represented by Senior Advocate Jaideep Gupta, opposed the review petitions saying that no grounds were made out for review. “Exclusion of women is not essential to Hindu religion. Every temple may be having its own practice. The court cannot go into the essential practices of every temple. That would mean each temple is a denominational temple. That will lead to the destruction of essential religious practice test”, cleared Jaideep Gupta for Kerala government. Non discrimination and non exclusion are two values found throughout the Constitution. That social peace has been destroyed is not a ground for reviewing the judgment. Constitutional invalidity cannot be permitted to go on, he added. Meanwhile Indira Jaising, appearing for the two women who entered the shrine said, “Women who entered the temple had to face intense threats. This is no mere exclusion, but social boycott. Menstruating women are regarded as impure and polluted. This attracts the concept of untouchability”, she said adding that untouchability is within the quotes in Article 17, because it was left undefined.